Bangladeshi film ‘Sonatan Golpo’ (Ancient Trap) directed by Masum Aziz’ wins critics award at the 17th Dhaka International Film Festival . The 17th Dhaka International Film Festival (DIFF) ended here on Friday with the awards ceremony.This year’s theme was ‘Better Film, Better Audience and Better Society’. Rainbow Film Society organised the nine-day festival. State Minister of Cultural Affairs KM Khalid attended the closing ceremony at the main auditorium of the National Museum as the chief guest. 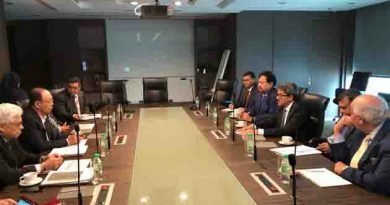 State Minister for Foreign Affairs and chief patron of the DIFF, Shahriar Alam, presided over the session in presence of festival director Ahmed Muztaba Zamal and festival executive committee member M Hamid. There were competitions named “Asian Cinema Section”, “Retrospective”, “Bangladesh Panorama Section”, “Cinema of the World Section”, “Children Films Section”, “Women Filmmakers Section”, “Short and Independent Films Section” and “Spiritual Films Section” in the film festival. ‘Little Prince of Our City’ directed by Talgat Temenov from Kazakhstan won the ‘Best Children Film Badal Rahman Award’ while the ‘Best Audience Award’ was given to ‘EK Je Chilo Raja’ directed by Srijit Mukheji from India. ‘Sonatan Golpo’ (Ancient Trap) directed by Masum Aziz from Bangladesh won ‘Best Critic Film by FIPRESCI Jury’ while ‘Bitter Sea’ directed by Fateme Ahmadi from the UK, ‘Burkinabe Bounty’ by Iara Lee from Burkina Faso, the USA, Bulgaria, Italy, Rising Silence directed by Leesa Gazi from Bangladesh, India, UK and Mamang directed by Denise O’hara from Philippines got the award for Best Short fiction in Women Filmmakers Section, Women Filmmakers Section Documentary, Best Documentary in Women Filmmakers Section and Best Feature Film in Women Filmmakers Section respectively. ‘Darak yry’ (The Song of the Tree) by Aibek Daiyrbekov from Kyrgyzstan won the best film award while Best Director was selected from ‘Dressage’ movie from Iran in the Asian Film Competition.Srijit Mukherji directed ‘Uma’ from India was screened following the closing ceremony of the festival. Five movies were also screened at different times at public library auditorium. ‘Rising Silence’ directed Leesa Gazi, jointly produced by UK, Bangladesh and India under Women Filmmaker Section will be screened at 7pm. The short and independent films ‘Toprak’ from Turkey, ‘Man of the Hour’ from the UK, ‘Lao Wai’ from the UK and ‘Made-in-China’ and ‘Rufus King Park’ from the USA were screened at 7pm at Sufia Kamal Auditorium. At the 17th DIFF, some 220 films from around 72 countries were selected for screening, according to the organisers. The venues of film screening were the Alliance Francaise de Dhaka, Blockbuster Cinemas at Jamuna Future Park, Bangladesh Shilpakala Academy, Central Public Library Auditorium and National Museum Auditorium. 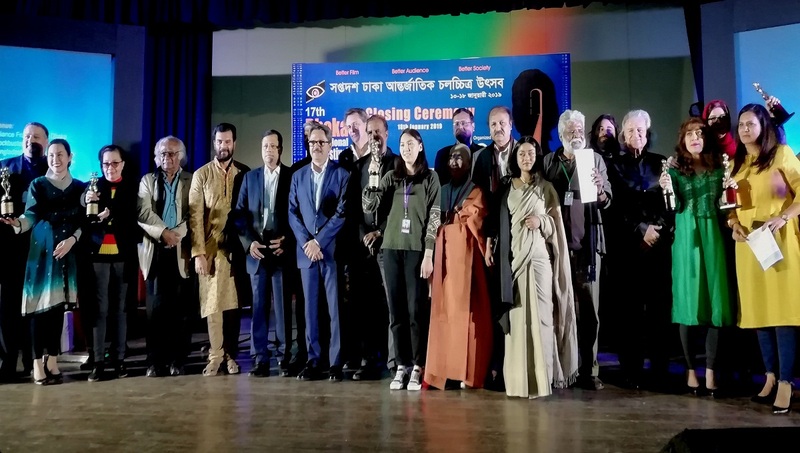 Like previous years, Rainbow Film Society arranged a two-day ‘Fifth Dhaka International Conference on Women in Cinema 2019’ on Friday where woman filmmakers, actors and personalities from all over the world took part. Alongside, a two-day International Film Critics Federation (FIPRESCI) Asian region conference was held as part of 17th DIFF on January 13-14.The aim of the conference was to motivate and introduce the Asian FIPRESCI members, who are less prioritised and are not getting the privileges properly. Another very important segment that the 2019 DIFF arranged in continuation of all the previous festivals is the Children’s Film Section.Around 10 fiction films were screened in this segment. These screenings are ideal family outings and were open to all children and adults. Alongside, a day-long programme ‘WEST MEETS EAST’ was held at DIFF on January 14 at the Dhaka Club Samson Lounge.An international film critic, a prominent festival official, a leading academic and an experienced producer participated in the segment. ← Foreign Minister seeks cooperation from international community in fulfilling election manifesto of the government of Prime Minister Sheikh Hasina. 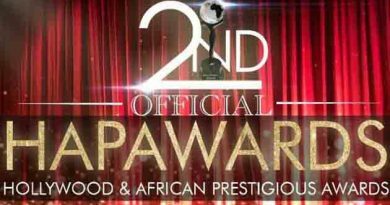 Hollywood and African Prestigious Awards 2018 is to be held on 30 September in California.